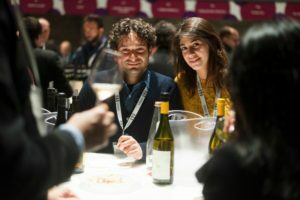 The event Vino é by Fisar (Federazione Italiana Sommelier Albergatori e Ristoratori) took place a month ago by now at the Stazione Leopolda in the center of Florence. 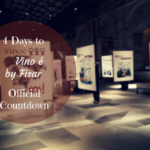 This was the first edition of Vino è and it was organized in association with the annual congress of Fisar. The idea was to innovate and open up Fisar to become a bit more worldly and in tune with times, thus also opening up the Vino è event for an audience at large. In this way, it was something more than just a congress for a small group of members. This was another step in changing the face of Fisar, making it more attractive for a larger audience. The result was fabulous and I think everyone who attended Vino è had a great time and the opportunity to taste many interesting wines from all over Italy. 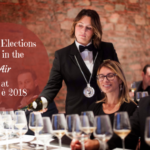 I have taken a long time to decide how and what to write about this wine event, as I feel fairly biased having helped out a bit with the organization. So, I did not manage to pass by many producers and neither to taste many wines. 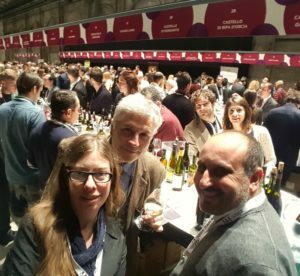 Anyway, I decided in the end to focus on a southern Italian theme, with wine producers from Basilicata, Calabria, and Molise who participated at Vino è. To paraphrase a bit of a line in a cheesy American comedy from some years ago (Sweet Home Alabama), I wanted to focus on some of the producers from the regions in southern Italy present at Vino è. On the one hand, because I am very happy that some of my producer friends from Calabria decided to participate, and on the other hand, because I am of the opinion, that Basilicata, Calabria, and Molise brought added value to Vino è. The wine producers I will talk about here I believe express their territory and tradition in all its facets through their wines. The first time I tried the wine Titolo Aglianico del Vulture DOC from Elena Fucci was actually at the wine bar Le Volpi e l’Uva in Florence together with some friends. I liked this wine straight away, with its full-bodied and fruity character. It has notes of cherry, among other fruits, tobacco, and vanilla as well as a balsamic touch. You also feel the territory with its volcanic soil in the wine. Elena Fucci is a fairly young winery situated in Barile close to Potenza which was founded in 2000 when Elena decided to take over the management of the family vineyards and the winery, which her family was thinking about selling. The wine Titolo takes its name from a district on the foot of Mount Vulture, which is an extinct volcano. What is remarkable about this winery, is that they are focusing entirely on this single wine, Titolo. And I would say that they have succeeded very well to create their brand identity around this wine. So, what can I say, I fell in love with this region more than 15 years ago (of course also in connection with falling in love with a guy ;-)) when I for the first time went there to visit friends in Lamezia Terme. I know that many might find it odd, but I like the mix of extremely beautiful and more harsh landscapes and the differences between the Tyrrhenian and the Ionian side. This summer, I also went further south to Bianco, in the province of Reggio Calabria, which was a lovely experience thanks to Santino Lucà and Vittorio Corasaniti. 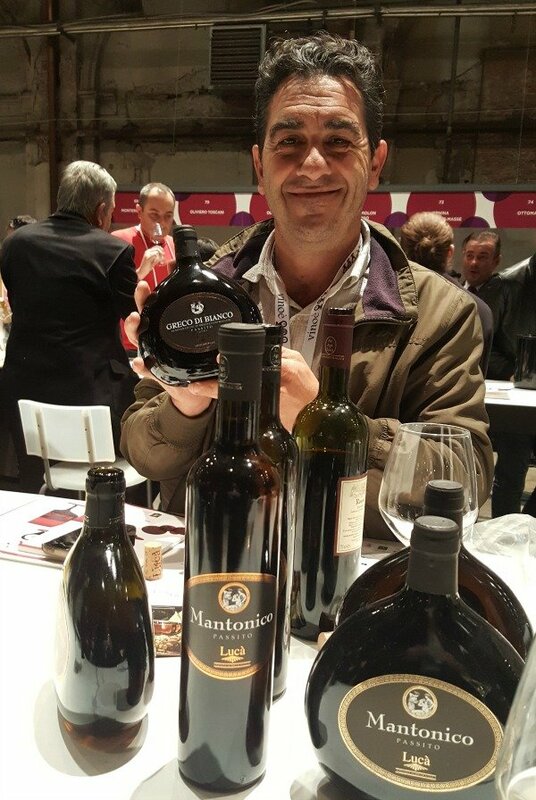 Cantine Lucà was present with Santino himself at Vino è with their Greco di Bianco Passito DOC, Mantonico Passito IGT, Marasà Bianco IGT, and Marasà Rosso IGT. Their Greco di Bianco Passito is an explotion of aromas such as dry fruit and orange blossom, smooth on the palate, and never resulting too sweet. Read more about this winery in my article Discovering Cantine Lucà in the South of Calabria. The Rosso Classico Superiore Cirò Doc from Cataldo Calabretta is a wine that clearly expresses the local Cirò territory in a wonderful way. 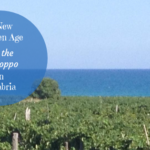 The Gaglioppo, according to Cataldo, is all about terroir and tradition, and you clearly feel this historical presence in his Gaglioppo wines. He produces a wide selection of wines such as Cirò Doc Bianco, Cirò Rosé, Alicante Rosato IGP, Ansonica IGP, and Malvasia Passito IGT Bianco. So far, he only matures the wines in steel vats which contributes to bringing out the typical and lovely aromas and flavors of the Gaglioppo. He had also brought a sample of the Grenache he has started to produce in order to do something completely different from the Gaglioppo a Cirò. This is a very enjoyable wine to drink with notes of fruit and without the heavy influence of tannins so typical of the Gaglioppo. Continuing to talk about Giuseppe Calabrese, he is a small wine producer from Saracena close to Cosenza in Calabria who was a discovery for me at Vino è, even though I in some way had a hand in bringing him to the Fisar event. He came together with Cataldo Calabretta. Giuseppe inherited a couple of small vineyard lots from his grandmother and it was in this way that he a couple of years ago started producing wine. Giuseppe’s Magliocco Pollino Terre di Cosenza DOP Rosso is really wonderful. Often the typical character of the Magliocco is lost when it is aged in barrique, while in this case where the Magliocco has been matured in steel vats, you really feel the terroir. Furthermore, you also feel all the aromas of red fruit and spices that are often typical of the Magliocco Dolce. It is a smooth and elegant wine. If we then continue to talk about his Moscato di Saracena, it is almost divine. 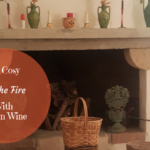 Giuseppe explained that it is a wine of the past where you still use the ancestral method of boiling the must in order to make it more concentrated. This Moscato has a high level of acidity which contributes to even out the level of sweetness making it into a smooth and very enjoyable sweet wine. Patrizia Garrubba from Cantina Cav. Garrubba was a lovely new encounter thanks to Mariangela Parrilla from Tenuta del Conte. They came together and all the Calabrian wineries brought a lot of added value, as mentioned before, to Vino è, representing an innovative part of the south regarding wine production. 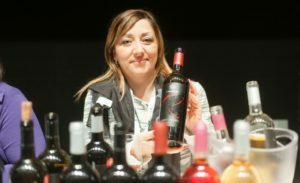 Mariangela Parrilla works in the family winery Tenuta del Conte since 11 years, but a couple of years ago when she took over the management she felt a need to make some larger changes. She decided to turn towards becoming a fully certified organic winery, even though, as she says, they have always applied organic farming methods in their vineyards. Since her small ‘revolution’ at the family winery, they no longer use any added yeasts or other chemicals and they adopt a spontaneous fermentation method with natural yeasts. Mariangela also talks about the importance of history and local territory when referring to the Gaglioppo grape. They produce a Cirò Doc Bianco made with Greco grapes, a Rosso Classico Superiore Cirò Doc, a Riserva Cirò Doc, and a Rosato wine with Gaglioppo. My favorite is their Cirò Doc Dalla Terra Riserva 2011 which is a wine without any chemical additives, it was bottled and then aged for 3 years in the bottle protected from any kind of light. Here you feel the typical notes of ripe fruit and a balsamic touch. Let us move on to talk about Cantina Cav. Garrubba which is situated close to Melissa, a sort of historical small village, or district, for wine production close to Cirò Marina in Calabria. It is a winery with about 10 hectares (24 acres) of vineyard where they cultivate above all Greco Bianco and Gaglioppo, but also Malvasia Bianca, Trebbiano Toscano, Magliocco, and Merlot. Patrizia Garrubba manages the winery together with her father Giuseppe Garrubba, and she was presenting their wines at Vino è. They produce the wines Incanto Rosa Extra Dry Spumante, Il Cavaliere Bianco IGT, Alba Merlata Cirò Rosato DOP, Antico Sordillo, Imperator Rosso IGT Calabria, and Simposio Riserva Cirò Doc. 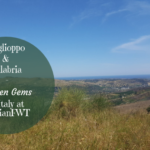 It was very interesting to try a sparkling wine made with Gaglioppo, and then I very much enjoyed the Antico Sordillo and the Simposio Riserva Cirò Doc where you could feel the typical traits of the Gaglioppo grape. The aging in barrels of Allier oak gives the wine a smooth and elegant character. The wine producer Claudio Cipressi has around 16 hectares (39 acres) where he cultivates mainly Tintilia, but also Montepulciano, Falanghina, and Trebbiano. His winery is situated in the province of Campobasso in Molise. Until Vino è I had never tasted his wines, I had only read about him and talked to him over the phone for organizational matters, but I must say that his Tintilia wines really blew me away. He produces the following wines: Le Scoste DOP Molise Trebbiano, Voira IGP Terre degli Osci (100% Falanghina), Colle Quinto Tintilia Molise Rosato DOP, Decimo Molise Rosso DOP (100% Montepulciano), Macchianera Molise Rosso DOP (Montepulciano e Tintilia), Macchiarossa DOP Tintilia del Molise, and Tintilia 66 DOP Tintilia del Molise. I very much liked the Macchiarossa and the Tintilia 66. Macchiarossa is matured and aged only in steel vats and you clearly feel the notes of fruit and spices. Tintilia 66 is a smooth and elegant wine with notes of fruit such as sour black cherry and spices. This wine is aged in oak for 36 months and thereafter refined 6 months in the bottle. In both wines, you feel the balsamic presence. All in all, these are wines that are very interesting and enjoyable. 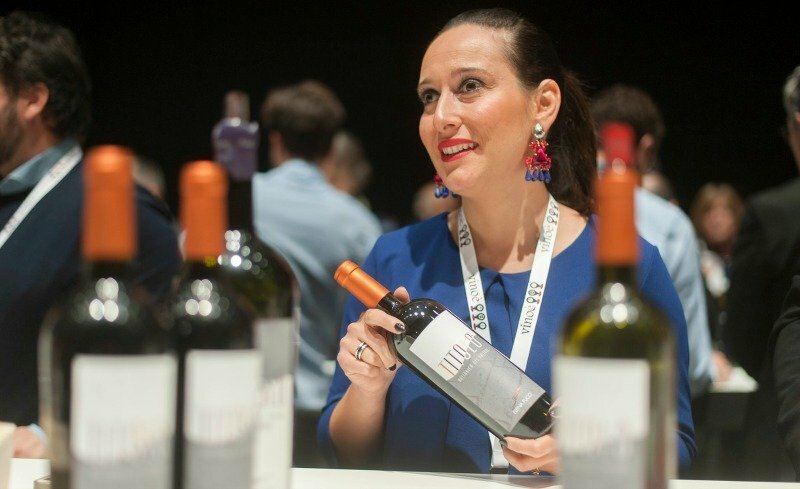 At Vino è you could taste interesting wines from all over Italy, however, as mentioned in the beginning I have focused on the producers from three regions in southern Italy here. Calabria is a bit the main focus in this article, as I know all of the producers. The producers from Basilicata and Molise were more or less new discoveries for me, and when it comes to Claudio Cipressi I had never tasted his wines before. 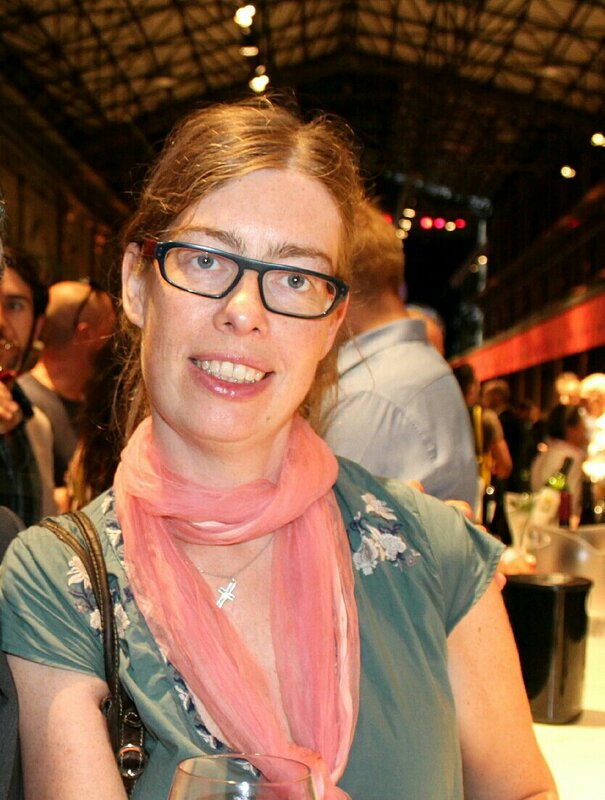 Now, I hope to have made you a bit curious about these producers and their wines. Oh, what a lovely event, Katarina! And all the better to make new discoveries while there. I would so love to attend! I love a great Moscato. I’m going to see if I can find the one you said was divine, the Moscato di Saracena. I know so many aren’t imported into the US, but I’m going to take a look for that one. It sounds incredible. 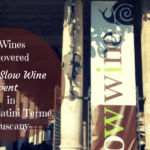 How wonderful to have an event that showcases wines from all over Italy – sounds like heaven.Your description of the producers from southern Italy and their wines was interesting and informative as ever. What a great event for showcasing so many wines. Your descriptions make me feel as i have lived the experience. Can’t wait tour wine country of Italy! I enjoyed reading about the organic winery. Until now, I had not realized that organic wine making is also about the process (chemicals and yeast). Here I thought it was about the grapes! Very interesting and informative. The job you have set yourself sounds like such a blast. Well done, you! It always sounds like you are having both an educational and an entertaining time when you share your wine experiences! I would imagine that the wines of southern Italy are distinct from those of the northern region. It’s great to have such a first hand opportunity to meet the vintners and also to taste their wines with them present. Very romantic and cozy feelings from reading about all these wines. One question..you mentioned one of the wines featuring hints of tobacco. I had never known that to be an ingredient? 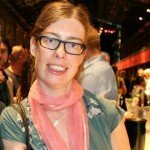 Am I displaying my ignorance on wines? Your passion for wines really shines through in this post. What an amazing event! Sounds like a lot of fun, you obviously have a real passion for wines, it shows in your writing. I keep coming back to this blog and being inspired to branch out my wine choices. Also, I am starting to think that I should start a wine journal. Thank you so much for the inspiration here. Awesome Kata, you surely have positioned yourself with the right people and you have all the passion in the world for it. Katarina, this sounds like a great event! I love reading about the places you visit, the wines, and the people who create them. Katarina, what an incredible opportunity to be part of Vino e. I can’t imagine being surrounded by all those wonderful wines and not becoming a little tipsy by the end of the day. Again, learning so much from your posts. This is on my bucket list! Thank you for sharing your adventures and insights! Wow! It seems like a reunion of wine producers and the enthusiast. Must have been great meeting your friends in the industry and getting to know new people. And, I think that is what wine is all about….taking your communication to the next level while enjoying with your favorite drink. The Tintilia is a very original grape of south Italy. Grazie per tuo commento Pierfranceso 🙂 Si, anche la Tintillia é molto interessante e vorrei scrivere qualcosa di piú anche su questo vitigno.